Summer Collections just keep rolling out! 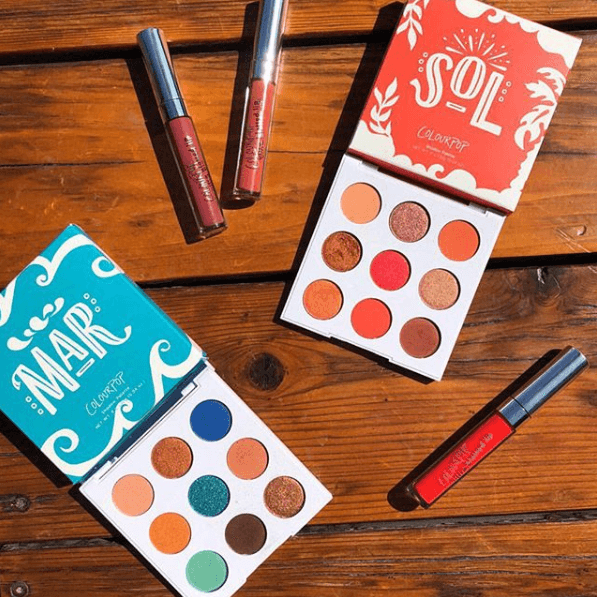 Colourpop is launching their Sol & Mar Eyeshadow Palettes on Friday, 6.29! 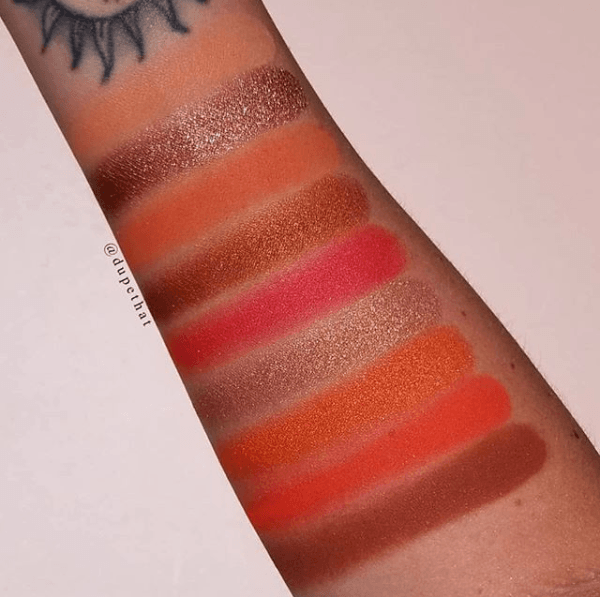 These palettes are part of their larger Summer 2018 collection which also includes some new Ultra Blotted Lip Shades & Super Shock Highlighters. Both of these eyeshadow palettes will be $12 and include a mix of matte and shimmer shades. P.S. just in case you didn’t know – Sol is “sun” and Mar is “sea” in Spanish. We got you! We hate to say it but we’ve said it before so we may as well say it again – enough with the orange eyeshadow palettes! We totally get it. Like, we literally already got it. Actually, we got like 12 by now. It has already been done. If there happens to be that one rare person that somehow dodged the warm palette onslaught all this time, YAY for you! In that case, definitely get this. For the price, you need it. But if you’re not that person, I would pass. However, Mar is quite lovely. We are totally into the orange and blue trend that has totally taken over. I’ve been LOVING mixing cool and warm tones lately – I actually have a few videos on our MakeupFOMO YouTube channel featuring these kinds of looks (with more coming, stay tuned!) if you’d like to check them out! 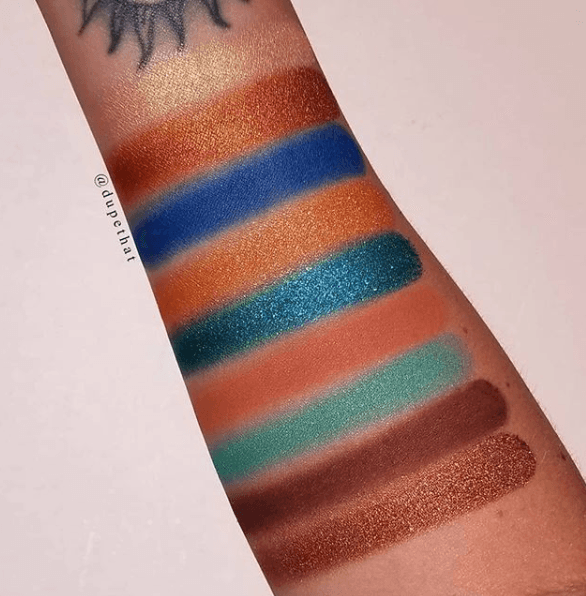 We are a bit tempted by this one but we also feel like we’ve seen quite a few very similar palettes to this lately, too (Alamar Reina Del Caribe, for example, which not only has similar colors but also the sea type theme). Of course, it’s trending right now so it makes sense but I just don’t see any uniqueness to either of these palettes. But Mar does have a nice balance of warms and cools but I still feel like there is too much orange for my liking. I just want us to steer away from the oranges! Couldn’t we have mixed in a few other tones?? But for $12 (which is much less than their standard $16 AND has different, plastic packaging) we think it may just be worth giving a little try.